Well, this is it. This is September. Even though it felt like a nice summer day today in Stockholm. But after a really quiet summer, I found the week a bit tough. Mind you, I was in Tuscany for three weeks (see next post for some details) so the concept of getting up every morning to get to work was difficult to accept. And this was not your ordinary “welcome back to September week”… no, President Obama was in town. Of course, this had very little to do with me, but it just added to this feeling that the holidays were really over. As a result, I decided to have a nap last night to ease into the weekend. Well, that nap turned into a nine-hour night of sleep, until I woke up this morning at 5:00. I felt bad for missing out on a Friday night, but I was decided to make up for it and go for a run… which I eventually did! And during the run, I also thought that it was high time to be a bit more regular on the blogging thing. So, the first blog of the 2013-2014 season would be a tribute to my trip to Tuscany… but I got distracted on my way there! 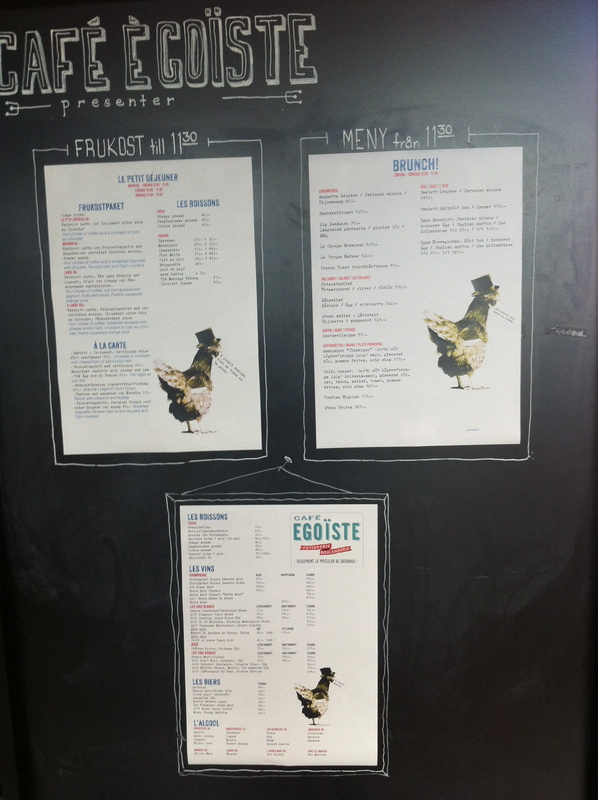 I had heard of Café Égoiste before but I had always avoided it because I was not a big fan of the Café being in a shopping mall. Actually, I had forgotten about it and I was surprised to see it as I was crossing the said shopping mall to reach the previously targeted Café. by that time, I was really hungry and pleasantly surprised to note that (a) the shopping mall does not really look like a shopping mall in North American, and (b) Café Égoiste has a very nice spot in the said mall which makes that one could forget it is actually in a mall. 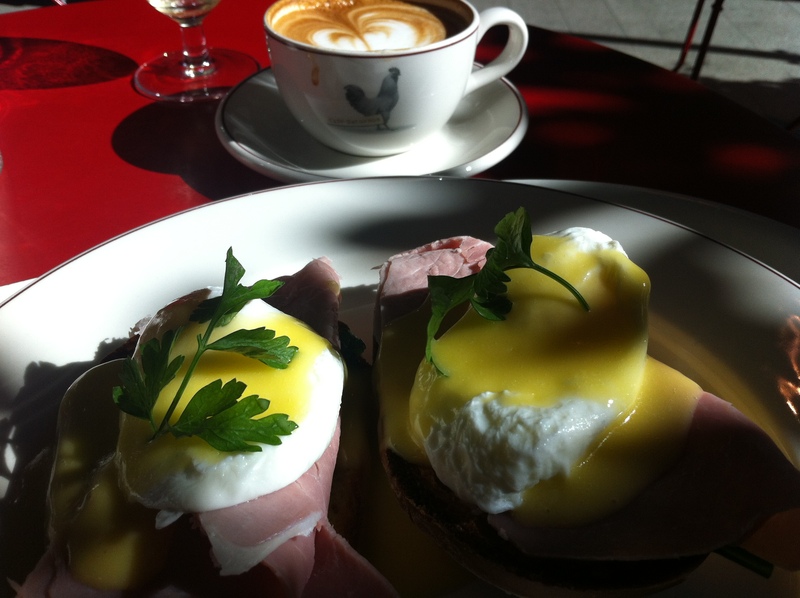 I did not hesitate very long when I realized that they had eggs benedict on the menu! Now, on the plus side, the cappuccino and the freshly pressed orange juice I had with breakfast were perfect. 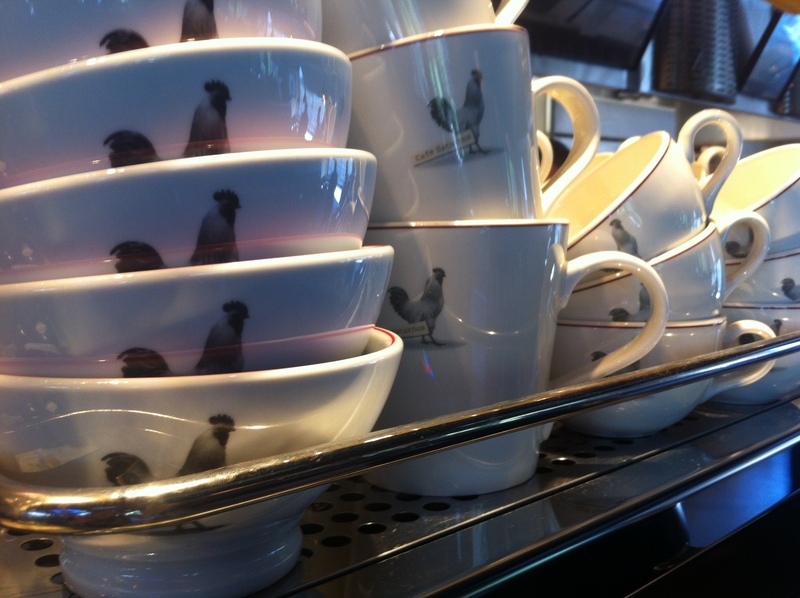 And I will definitely go back to Café Égoiste. 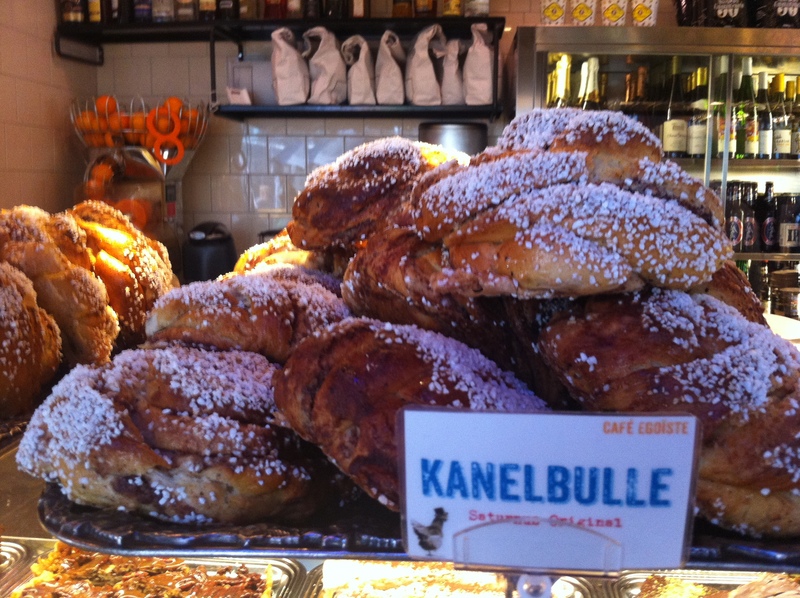 But next time I will have the traditional kanelbulle or, even better, the Kardemummabulle! And you know why? Well, I could tell you that Café Égoiste is linked to Saturnus, which always had the reputation of having the biggest bullar in town. But I will let you see by yourself! 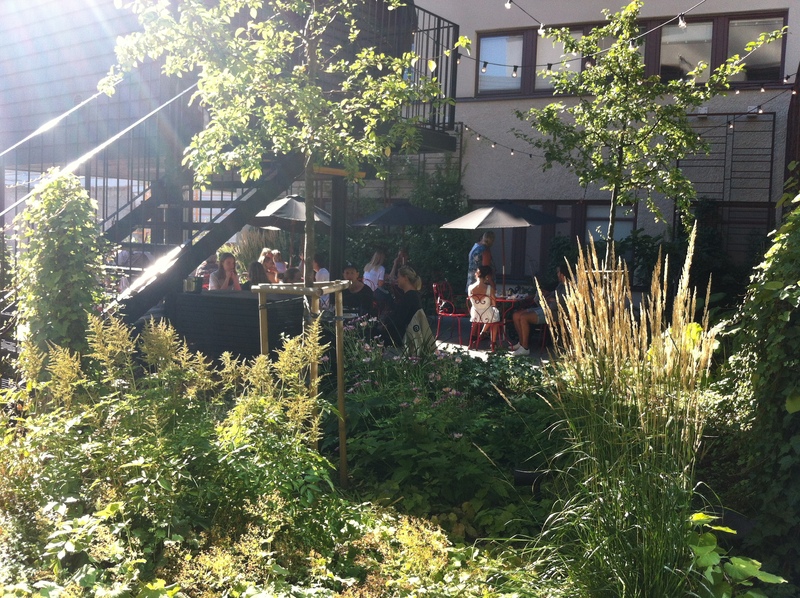 Café Égoiste also has a wonderful patio which makes perfect for a summer brunch. It helps forgetting that you are in a mall. 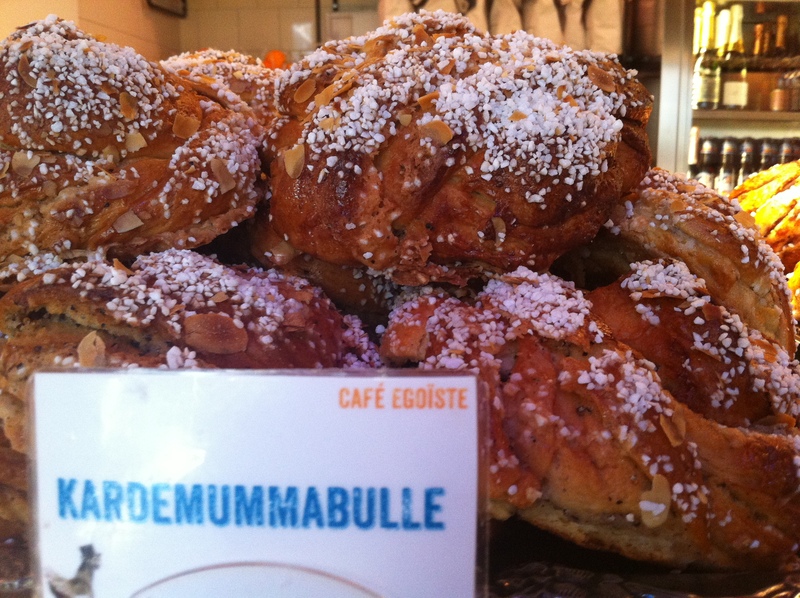 I can’t wait to go back to Café Égoiste and have one of the Kardemummabullar. Actually, this will probably be one of my lunches this week! Again, congratulations to Café Égoiste for having done an excellent job at creating a cool atmosphere in what could have been just another mall café.